It’s here – FRIDAY – the day we all wish for all week long. Our mood gradually becomes lighter as the weekdays past and the countdown begins to the freedom of Saturday and Sunday. Obviously, some people have other days off during the week but their feelings are exactly the same for whichever day their ‘Friday’ is. So celebrate today and enjoy your weekend. I wrote a poem to celebrate Friday – I hope you like it. For today’s prompt why not share your ode to Friday? 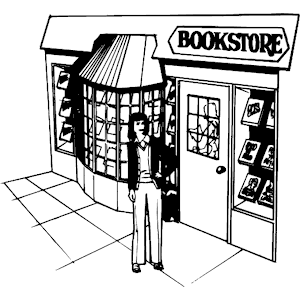 An interesting news link regarding authors championing book stores. This campaign should be a global scheme. If I was still in the UK, I would certainly be joining in. How about you? Maybe create your own ‘support your local bookstore’ campaign in the area you live in with fellow authors and writers. Give them a boost to their business and your sales in one fell swoop. I wish you a great weekend, full of words whether writing or reading them. I will be enjoying friends and family activities tonight and Saturday and a few hours of editing and reading on Sunday.